Wales’ oldest rugby club, Neath RFC, recently survived a winding-up order but the bad news keeps on coming for the South Wales team. The owner, Mike Cuddy recently confirmed his bankruptcy, following a petition filed by creditor Builder’s Merchants Buildbase in November. Cuddy has invested more than £500,000 into the Welsh All Blacks throughout his time as owner and despite his bankruptcy, he has placed wife, Simone in charge as sole director in his absence. Cuddy has suffered from a condition known as neurosarcoidosis in recent years. His ill-health – and a six-month spell in hospital – resulted in the collapse of his long-term demolition and civil engineering business, The Cuddy Group. Although Cuddy may have been able to secure short-term finance, regardless of his low credit rating or outstanding defaults, the 54-year-old took the decision to declare himself bankrupt earlier this month. Mr. Cuddy has insisted that regardless of his own financial situation, he was desperate to retain ownership of the club; even if they had to fall down the divisions to do so. Understandably, the Neath supporters are growing restless because their team has been steadily dismantled throughout the season. Several key players were forced to leave the club in November due to the £31,000 lawsuit from a firm that loaned the club money earlier in the year to meet its wage bill. However, it was later revealed that the loan was taken out in the name of another company owned by Mike Cuddy, rather than Neath Rugby Limited. It has certainly been a slow, painful decline for the team which last won the Welsh Premiership for a record seventh time back in 2010. The alarm bells started ringing in 2012 when the club battled to stave off a winding-up order from HM Revenue and Customs (HMRC) regarding unpaid tax. Two years later, it faced yet another winding-up petition, this time from Neath Port Talbot Council regarding unpaid business rates. On more than one occasion the Neath Supporters Club has urged the Welsh Rugby Union to intervene and review the ownership of the club. The club was even forced to postpone games with Bedwas and RGC earlier this season, resulting in docked points. There have even been fears regarding the club’s player insurance and the stadium’s safety certificate. The name of Neath RFC has been a mainstay in Welsh rugby for several decades, becoming the nation’s most decorated team at domestic top-flight level. The Welsh All Blacks face yet another winding-up order on 30th January, once again relating to unpaid tax, and the Neath Supporters Club is desperate to see action taken to keep rugby at The Gnoll – the club’s home since 1871 and a former host of the Rugby League World Cup in 2013. Dawn Williams, vice-chair of the Neath Supporters’ Club insisted that “strong management is needed going forward”. Ms. Williams also revealed that the fans had “investors waiting to come in” and make a difference but they were not prepared to “get involved under the current structure”, putting pressure on the owner, Cuddy. There are even concerns that the club could lose fans to the fast-emerging junior rugby league that is on the rise in South Wales. 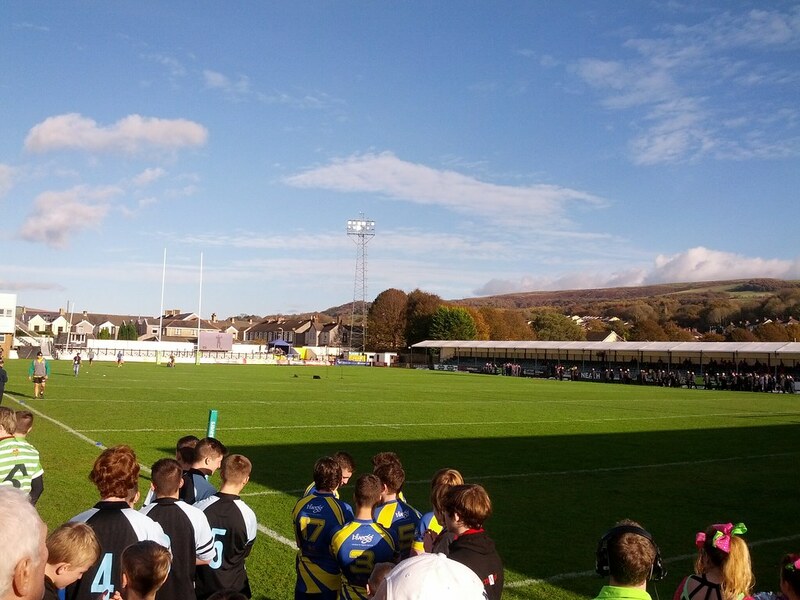 The Welsh Rugby League (WRL) has operated successful leagues at under-13, under-15 and under-17 levels in 2018 and plans have been approved to operate under-12, under-14, under-16 and under-19 teams for 2019 and beyond. Chris Thair, CEO of WRL, believes the “grassroots [rugby league] clubs in Wales are getting stronger”. Some 68 of Neath’s decorated former players agreed to put their name to a statement published on the club’s official website urging Cuddy to consider selling up. Progress could be possible after Cuddy admitted in response to the statement that the club is no longer “healthy anymore under [his] stewardship”. Providing the club can stave off its next winding-up order, there may be brighter days ahead if Cuddy is prepared to relinquish control.